A new MErCuRIC study from Prof Alberto Bardelli and the team at the University of Torino has just been published. 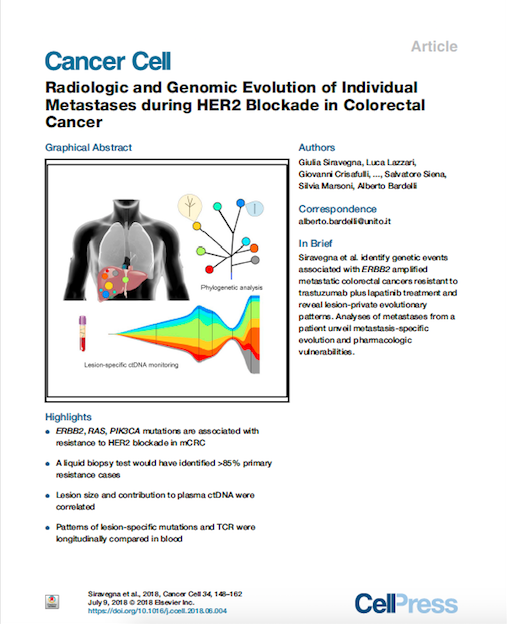 The article entitled “Radiologic and Genomic Evolution of Individual Metastases during HER2 Blockade in Colorectal Cancer” was published on 9 July 2018 in Cancer Cell. 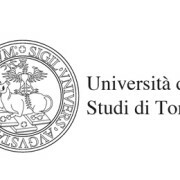 Congratulations to the entire research team: Giulia Siravegna, Luca Lazzari, Giovanni Crisafulli, Andrea Sartore-Bianchi, Benedetta Mussolin, Andrea Cassingena, Cosimo Martino, Richard B. Lanman, Rebecca J. Nagy, Stephen Fairclough, Giuseppe Rospo, Giorgio Corti, Alice Bartolini, Pamela Arcella, Monica Montone, Francesca Lodi, Annalisa Lorenzato, Alice Vanzati, Emanuele Valtorta, Giovanni Cappello, Andrea Bertotti, Sara Lonardi, Vittorina Zagonel, Francesco Leone, Mariangela Russo, Antonella Balsamo, Mauro Truini, Federica Di Nicolantonio, Alessio Amatu, Erica Bonazzina, Silvia Ghezzi, Daniele Regge, Angelo Vanzulli, Livio Trusolino, Salvatore Siena, Silvia Marsoni and Alberto Bardelli. 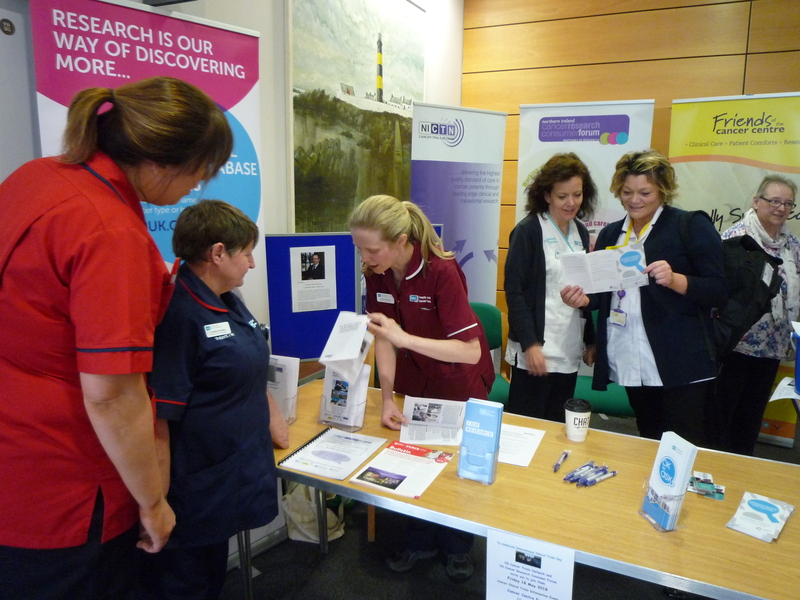 In celebration of International Clinical Trials Day on 18 May 2018, an exhibition showcased cancer clinical studies in the Northern Ireland Cancer Centre. MErCuRIC and all open clinical studies where there was local leadership were promoted. Patient representatives Margaret Grayson and Dr Edward Goodall were part of the team from the Northern Ireland Cancer Research Consumer Forum (NICRCF), Northern Ireland Cancer Trials Network (NICTN) and several cancer charities who were on hand to share information and their own experience. 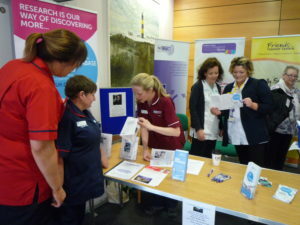 There was a great support from staff, patients and visitors. 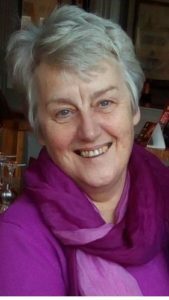 Esther Harding (EH) spoke to Ruth Boyd* (RB) in the Northern Ireland Cancer Centre, May 2018. Esther is 69 years of age, lives in Northern Ireland and is married with 3 sons, 3 daughters-in-law and 7 grandchildren. RB: Hello Esther, thank you for speaking to us about the MErCuRIC study. How long have you been taking part in the MErCuRIC trial? EH: I am just in the second cycle of treatment in the study, so I do not know yet if the trial drugs have had any beneficial effect or not. I went on the study after I was told the cancer was in my liver and lungs and at the moment there is no suitable chemo for me. I was asked by one of the doctors involved with me if I would consider taking part in a clinical trial. 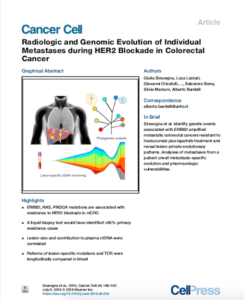 The MErCuRIC study is for the stage of cancer I have and I was suitable as my primary cancer was in the bowel. RB: What motivated you to take part in the trial? EH: I have had the benefit of treatments and procedures and knew others had undergone trials towards these, also I know how important research is. I hope this trial proves to bring positive outcomes to those diagnosed with this type of bowel cancer in the future. My husband and I thought and prayed about it, faith is a big part of our lives, and although it was in my mind to say yes, I had to take into account what my family felt. They all thought, as my quality of life was good at the moment, it would be worthwhile to take part. They encouraged me in my decision and said to give the trial a go as I could pull out whenever I needed to, or if there are adverse effects it will be stopped. It was reassuring the two drugs were already licensed and a placebo was not involved. I was definitely motivated to take part if I was suitable. The process of finding out about suitability takes about 4 weeks, so I never felt under pressure. RB: So when were you diagnosed and what treatment have you had already? EH: I was diagnosed in December 2012 following colonoscopy after 7 months of various investigations for weight loss, headaches and then vomiting. I had bowel surgery in February 2013 and liver surgery 3 months later. Thankfully both consultants were excellent and very pleased with the outcome of my surgeries as my prognosis had been very dire. I then had 3 different types of chemo over the next 4 years and the last one before the trial was Lonsurf®. I was the first person in NI to receive this drug when it became available, and I got that for 9 months. RB: What impact has cancer had? EH: I had worked in administration and looked after grandchildren a few days a week. In general, I was very active. Up until I became ill I had been a hospice volunteer for many years which I loved. I enjoyed gardening and was involved in church life. Because I was very weak, all these activities came to a crashing halt. Cancer changes individuals, but the impact on family life is huge. One of the most difficult parts is knowing all the folk who care about you are anxious and sad. About early 2013 there was a Macmillan advert. It showed a few different scenarios of people being given news of cancer, and as they walk out of clinic etc. it looks like they are collapsing, legs giving way. Suddenly the hands of a Macmillan nurse appears to help– that’s the best representation I have seen of what it’s like to get the news its cancer and the importance of being offered help and advice. RB: What’s it been like being on the MErCuRIC trial? EH: I’d been ‘treatment free’ since before Christmas so I had tasted a bit of normality. Going on to the trial means you are back to hospital appointments, procedures and tests. A big reminder of cancer! It becomes quite an intense part of your life. At the start of the study there were biopsies and an overnight stay but now I know I generally now have a visit once a week. The upside of this is you are monitored so much – so if anything changes you know it’s going to be picked up, and if I don’t feel well I know I can say that. I have a PICC1 line for blood samples. I feel tired but it’s a general tiredness, it’s not like the fatigue I’ve had from chemotherapy before. A rash has been the most surprising side-effect of the treatment for me. The tests and biopsies have been grand. Everything about the study was explained, nothing is hidden. It’s very open. My husband has been with me a lot. We have joked that at the end of this we should go and do a degree! The doctors explained everything and the nurses have been brilliant. The staff are so good. When you are very ill you realise how important staff are and what a difference it makes when they are compassionate. RB: Thank you so much for sharing your experience of taking part in this study. 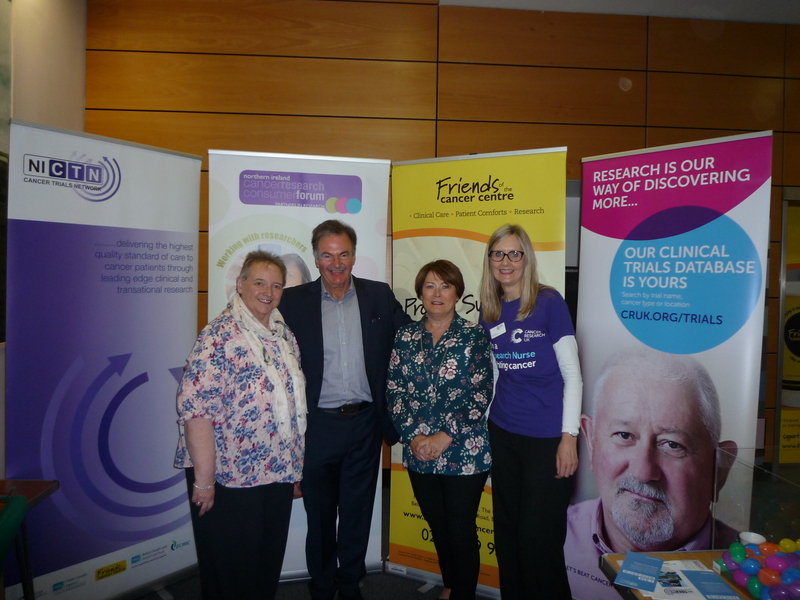 *Ruth Boyd is Cancer Research UK Senior Nurse in the NI Cancer Trials Network (NICTN) based at the NI Cancer Centre, Belfast HSC Trust, and is Personal and Public Involvement Professional Lead for the NI Cancer Research Consumer Forum (NICRCF). Belfast HSC Trust is a partner organisation of the MErCuRIC project funded by the European Community’s FP7 programme (contract #602901). The MErCuRIC three-minute explainer video was launched on 21 May 2018. Please watch, utilize and share it! MErCuRIC will feature in a presentation facilitated by Dr Austin Duffy of the Mater Misericordiae Hospital, Dublin at the 2018 All Ireland Colorectal Cancer Conference. 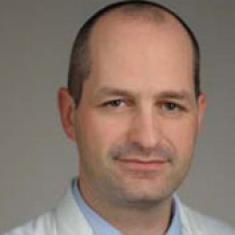 Dr Duffy’s talk is “Clinical Trials in Colorectal Cancer” will take place on Saturday, May 19th at the Gibson Hotel, Dublin, Ireland. This 2-day conference assembles healthcare professionals with a faculty of national and international gastroenterology, medical oncology, pathology, radiation, surgical and scientific experts from Europe and North America. The meeting will provide participants with the opportunity to facilitate best practice by discussing and disseminating the latest trends and developments in treatment and therapy of colorectal cancers, whilst also affording the opportunity to network with medical and surgical peers. See the complete programme here. 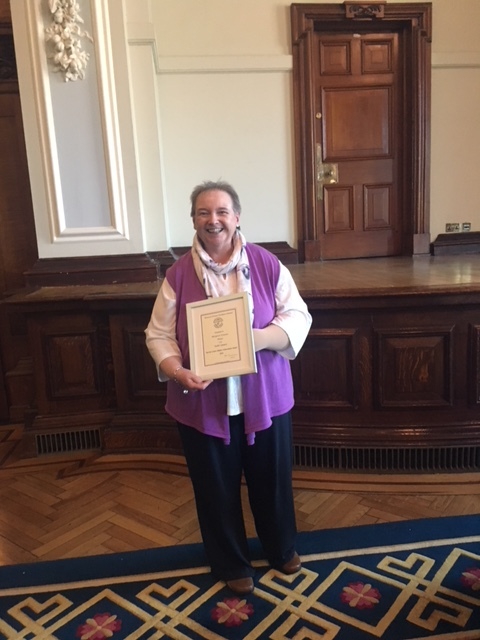 On Ap ril 21, 2018, valued MErCuRIC PPI team member Margaret Grayson received the Iris Colvin Lifetime Achievement Award for Health, presented by the Women’s Forum NI (Northern Ireland, UK) at Belfast City Hall. The award is bestowed in recognition of the lifetime achievement of a woman in service, dedication and commitment, and in this instance to health. 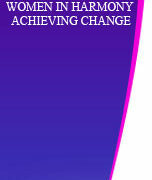 The aims of the award are to recognise the contribution of women to society, promote the role of women and strengthen links between organisations, acknowledge how a woman has been a role model and inspired others around her, mark outstanding achievement at a personal level through service to others, acknowledge passion, drive and energy in what a woman has done in her lifetime, highlight inspirational leadership, provide encouragement to other women, and show the commitment and dedication of a woman to aspects of life and citizenship outside her own family. The entire MErCuRIC partnership congratulate Margaret! MErCuRIC was featured as a Horizon 2020 Success Story on the European Commission’s Policies, information and services webpage on April 14, 2018. Below is an excerpt from the story. “Made-to-measure treatments are becoming possible because of the growing understanding of the genetic and molecular nature of cancers and disease in general,” says Coordinator Sandra Van Schaeybroeck of Queen’s University Belfast. As well as offering welcome benefits to future colorectal cancer sufferers, MErCuRIC is an example of where medical treatment is heading. 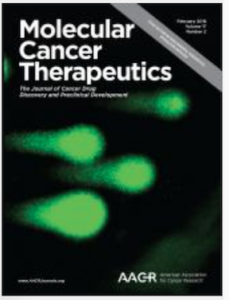 The MErCuRIC study ‘The unfolded protein response: a novel therapeutic target for poor prognostic BRAF mutant colorectal cancer’ has been recently published in Molecular Cancer Therapeutics. The body of research by Nicholas Forsythe, Alaa Refaat, Arman Javadi, Hajrah Khawaja, Jessica-Anne Weir, Heba Emam, Wendy L Allen, Frank Burkamp, Vlad Popovici, Puthen V Jithesh, Claudio Isella, Melissa J LaBonte, Ian G Mills, Patrick G Johnston, and Sandra Van Schaeybroeck was accepted for publication on 16 February 2018. Read about the roles of the partner organizations within MErCuRIC here. 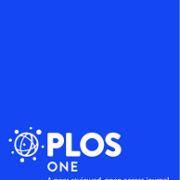 ‘A critical comparison of topology-based pathway analysis methods’ authored by the team of Dr Vlad Popovici at the Research Centre for Toxic Compounds in the Environment (RECETOX), Masarykova Univerzita has been recently published in PLoS One. The body of research by Ivana Ihnatova, Vlad Popovici and Eva Budinska appeared online on 25 January 2018. One of the aims of high-throughput gene/protein profiling experiments is the identification of biological processes altered between two or more conditions. Pathway analysis is an umbrella term for a multitude of computational approaches used for this purpose. While in the beginning pathway analysis relied on enrichment-based approaches, a newer generation of methods is now available, exploiting pathway topologies in addition to gene/protein expression levels. 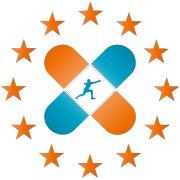 However, little effort has been invested in their critical assessment with respect to their performance in different experimental setups. 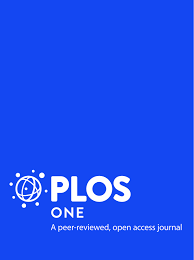 Here, we assessed the performance of seven representative methods identifying differentially expressed pathways between two groups of interest based on gene expression data with prior knowledge of pathway topologies: SPIA, PRS, CePa, TAPPA, TopologyGSA, Clipper and DEGraph. 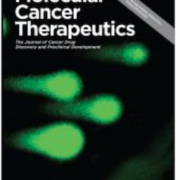 We performed a number of controlled experiments that investigated their sensitivity to sample and pathway size, threshold-based filtering of differentially expressed genes, ability to detect target pathways, ability to exploit the topological information and the sensitivity to different pre-processing strategies. We also verified type I error rates and described the influence of overexpression of single genes, gene sets and topological motifs of various sizes on the detection of a pathway as differentially expressed. The results of our experiments demonstrate a wide variability of the tested methods. We provide a set of recommendations for an informed selection of the proper method for a given data analysis task. Read about the role of the Masarykova Univerzita within MErCuRIC here. Through networking and information sharing, MErCuRIC is building bridges with colorectal cancer, personalised medicine and other stakeholder initiatives. 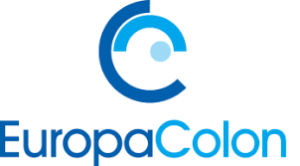 Currently, MErCuRIC is featured on the EuropaColon website with our first patient perspective story written by Ed Goodall. Special thanks to Ed! To read the entire story, click here. In addition, please visit our new web page for patient and carers stories here. 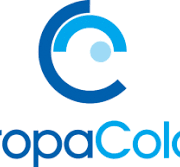 Finally, read about our clinical trial on the EuropaColon web page too.